Do you need a communications and digital strategy? Want to increase engagement on your social media channels? Get more strategic about your fundraising campaign? I’m here to help with communications and digital media plans, identifying audiences, story-telling, social media training, online fundraising, project management and coordinating partners. Do you need a communications and digital strategy? Would you like some op-eds or blog posts written? Want to increase engagement on your social media channels? Need more capacity for your small communications team? I’m here to help. Overall communications strategies and digital media plans: I’m skilled at seeing the big picture, identifying objectives, and creating detailed plans to reach your goals. Identifying audiences and the best way to reach them: I’d be happy to create audience profiles and customize objectives for each. Storytelling: I love writing and editing and can easily adapt to various voices and styles for website copy, blog posts, speeches or other communications materials. Effective social media: I’ll teach you best practices for each digital channel and strategic ways to increase engagement. I also provide support for events and conferences. Online fundraising: I’ll use tactics I’ve learned from #GivingTuesday, crowdfunding campaigns, and helping other nonprofits to tailor a plan that’s right for you. Managing partnerships and projects: I’ve wrangled Catapult “curators” such as Beyonce Knowles Carter and Alicia Keys, briefed Melinda Gates on Twitter chats, project-managed public relations firms, and coordinated coalitions. I’d be happy to help keep your project on track or manage your partners. General communications support: Is one of your communications staff going on parental leave or sabbatical? Have a small team and need more capacity? I’d be happy to fill in. I led communications for Adolescents 360’s launch, developing a communications strategy, content for the website, toolkit for partners, email newsletters, blog posts, and social media content. World Pulse hired me to create content (email newsletters, social media content, and web copy) for their 2018 International Women’s Day Wave (campaign). I filled in for communications staff parental leave and also wrote the 2016-2017 Impact Report for the International Women’s Fund. 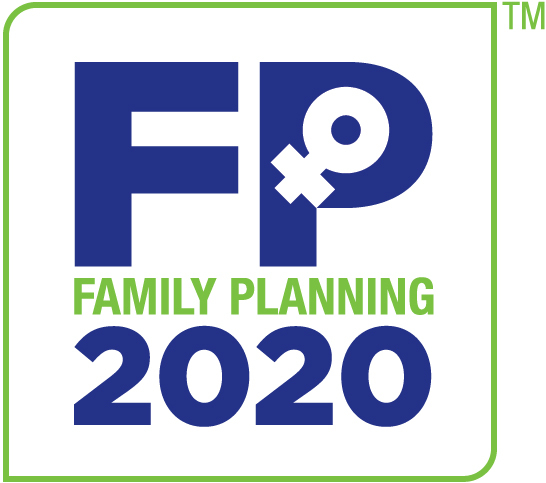 For Family Planning 2020, I managed the launch and communications around the Family Planning Voices initiative and coordinated with partners and vendors. This Humans of New York-style storytelling project shares the real stories from real people behind the family planning movement worldwide. I created digital marketing materials for Echoing Green's announcement of their 2015 Fellows, including online toolkits for Fellows and partners to amplify the announcement to their own networks, social media content for Echoing Green’s channels, and influencer outreach. I developed and marketed Catapult's “Cover Stories” campaign to raise awareness and increase donations for child marriage, human trafficking, and the sexual exploitation of girls. I coordinated Global Health content (fact sheets, videos, etc.) for the Living Proof Project with the Bill & Melinda Gates Foundation and the ONE Campaign. For the past couple of years, I have managed digital media for TRANSform Washington, a campaign of the Pride Foundation. I led online social media training for Echoing Green Fellows (located across the world) and fellows of the Disability Communications Fund (throughout California), with group webinars and individual coaching sessions. I’ve provided social media support for conferences, such as the 2016 International Family Planning Conference in Indonesia and the 2016 Women Deliver conference in Copenhagen, Denmark. When I was at the Bill & Melinda Gates Foundation, I developed a social media curriculum and trained leadership, staff, and grantees around the world. I’m just as comfortable with executives and celebrities as I am with community managers and grassroots organizers. As Catapult’s Senior Digital Strategist, I helped the new crowdfunding platform build a community of engaged online donors and advised hundreds of nonprofit partners as they fundraised for their projects. As a student, former member of the Steering Committee, and current outreach coordinator for Seven Star Women’s Kung Fu, I guided the Seattle nonprofit martial arts school through successful fundraising campaigns.